There is nothing more inspiring to see than a natural arches in the world. Whether delicate and small or large and impressive, these formations are a visual wonder of how majestic the planet really is. Spread out all over the world, these arches combined draw millions of visitors to their location simply because they are such an incredible spectacle! How many of these arches have you seen so far? Which of these 15 stunning arches are you planning on seeing next? 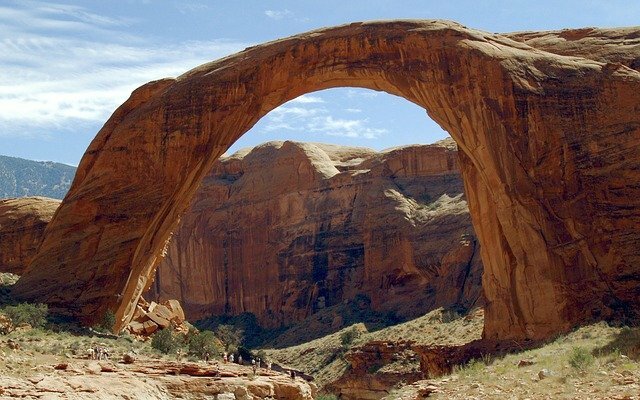 The most impressive natural arch in the world has to be Rainbow Bridge. It is the largest natural bridge in the world and its location is considered to be sacred for the local American Native tribes that call the area home. It is located in a U.S. National Monument, but part of the land is also owned by the Navajo Nation. You can access Rainbow Bridge by boat, by backpacking, or by a 3 mile round trip trail with a trail head that is easily accessible by car. Made from sandstone, the rain, wind, and ice are causing the Rainbow Bridge area to evolve in some way every day. Prayers are often said before walking underneath the bridge because it is believed that a failure to say a prayer could bring misfortune. A visit to this incredible natural arch, however, is far from a negative experience! There is no fee to enter the National Monument or to hike the public trail to view Rainbow Bridge. To access this impressive arch by boat, an admission fee through Glen Canyon National Recreation Area is required. If you wish to backpack into the canyon on your own, a permit to do so must be obtained by the Navajo Tribe. One of the most impressive natural arches in the world must also have unique features to have it make this list. For Elephant Trunk Hill in China, it’s more than the fact that from a distance, the arch, which juts out from the side of the mountain, looks like an elephant. When gazed upon from the water, the half arch and its reflection has the unique appearance of a bright, full moon. 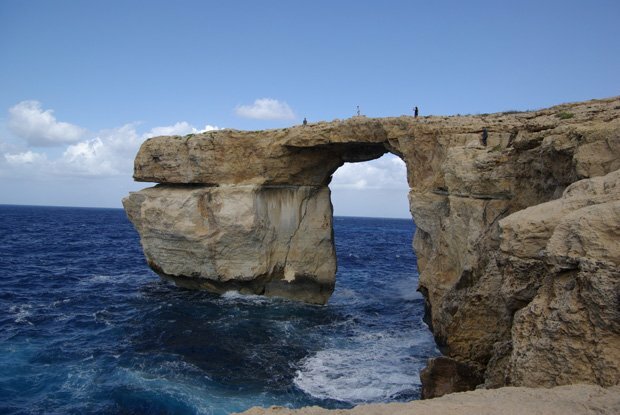 Many people choose to hire a guide that will take them to this stunning natural arch by boat. It is permitted to travel through the arch itself on boat, allowing for a truly unique experience. An accompanying park on the hill offers Ming Dynasty architecture, peaceful surroundings, and a monastery. Admission is currently CNY 75. Unlike many of the other arches that are on this list, the Durdle Door in the United Kingdom is privately owned. 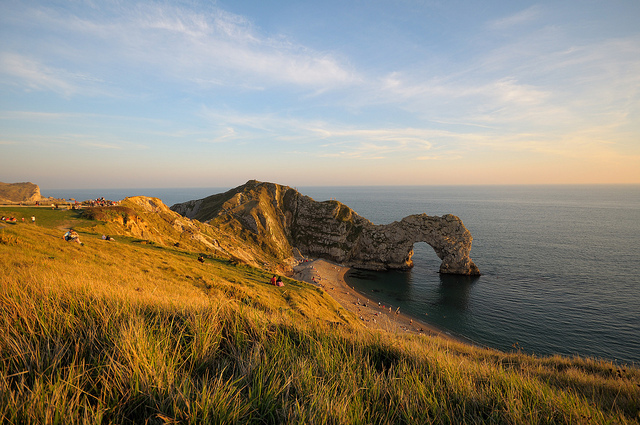 Located near Lulworth in Dorset, the name of this arch refers to its appearance of having been drilled out from the rock. A heritage center is on site to bring an educational component to a visit to the Durdle Door, while there is also a shop and facilities available on site. Dogs are also highly encouraged to come! 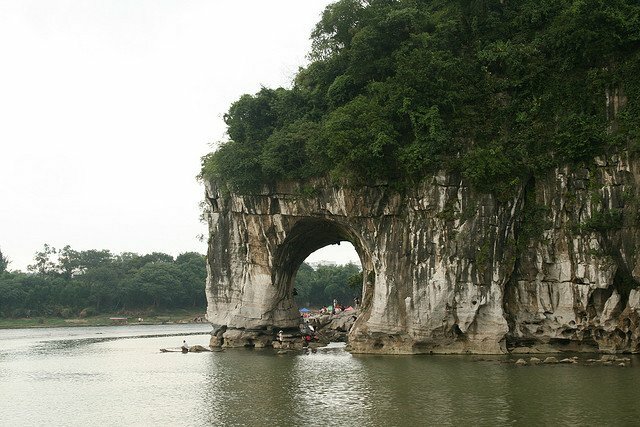 Made from limestone, this natural arch sits on a small isthmus that protects a sandy beach. Swimming is highly recommended in the waters, though the trail to access the beach can be steep and slippery at times. Admission fees come in the way of parking fees at the car lot. The current fee schedule is: 2 hours is £3, 4 hours is £4, 6 hours £5, over 6 hours is £7.50, or a weekly ticket is £15. The facilities are open from March 1 thru October 31. One of the primary attractions to Arches National Park near Moab, Utah, the Delicate Arch is an incredible sight to behold. On a large field of slickrock stands this one arch, delicately balanced against the elements of nature, yet holding its own somehow. There are two ways to get a view of the Delicate Arch: there is the primary trail, which is about 2.5 miles long and takes you through steep terrain and slickrock. There is also a shorter trail that is completely uphill on the way there that will let you get a long distance view of the Delicate Arch. 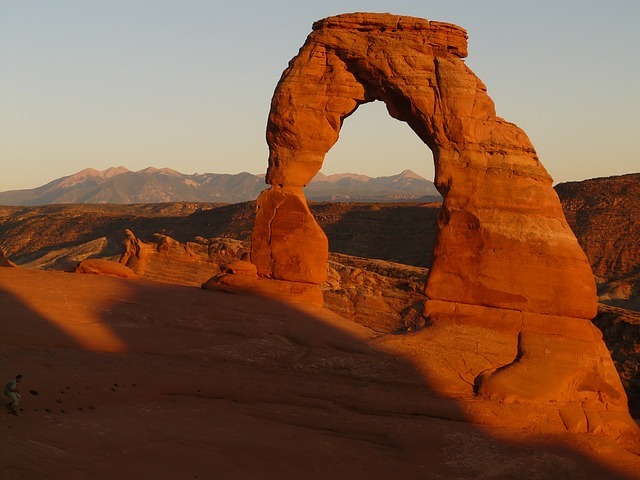 A Federal Land Pass is required to see the Delicate Arch as it is in a National Park. Individual passes are $5 each and are good for 7 days, though many people take advantage of the $10 per vehicle rate. 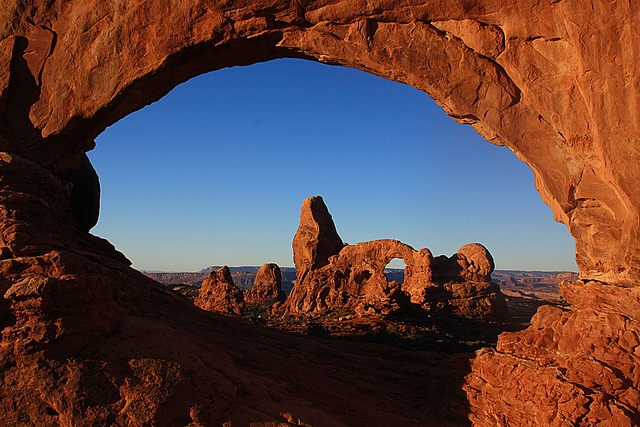 Guided tours of the arches, including the Delicate Arch, are also available. For an extended stay in the area, take advantage of the $25 “Local Passport” which gives you entry to the four incredible parks that surround Moab. 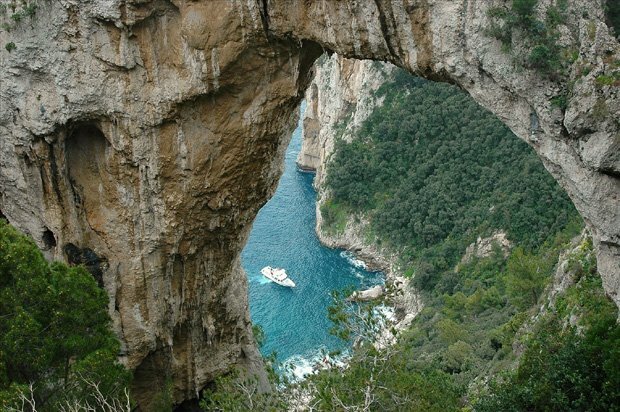 Located off of the island of Capri, this natural arch is thought to be the remains of a collapsed grotto. What makes this arch unique is the sheer bulk of it: many arches are delicate and slender if they are above the waterline, but not Arco Naturale. With rocky points jutting out of the top of it, this arch looks like someone bore a hole right through the mountainside of the island. To access the arch, it is just a short walk from the Villa Jovis, down Via Tiberio and Via Matermània. Local restaurants are close by, offering Capri-inspired cuisine at prices that are as amazing as the view you get from your table. If you want to see Arco Naturale, make the journey in the near future… the arch itself is slightly unstable and could collapse under the right conditions. Once the plug of a volcano, this large chunk of volcanic rock now juts 50 feet out of the water. Located within the tidal basin itself, many have equated the sight of this natural arch as a stone monster rising out of the sea. There are actually two arches that comprise this incredible piece of natural engineering. There are often seals that can be seen near this sea stack as well! The name Hvítserkur, which literally means “white shirt,” is deceptive in its size. It is a smaller arch than you might imagine it would be from seeing images of it, which is why it comes in at #6 on this list. There is no admission to see Hvítserkur, but it does require a lengthy drive down a difficult, rocky road to get a glimpse of this formation. 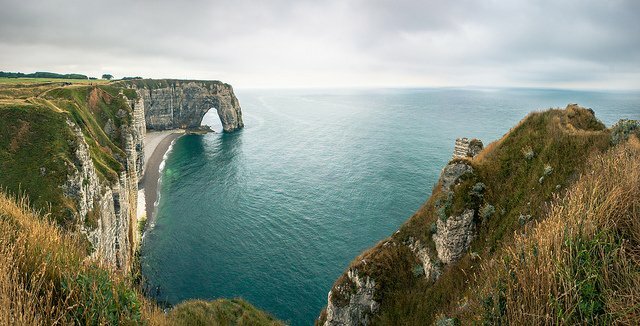 Known for its cliffs, there are actually three unique arches that are featured in Etretat. The most widely visited and known natural arch, however, is called “Manneporte.” Featured in a painting by Claude Monet, Manneporte juts out into the sea from the end of its supporting cliff. The other two arches, Porte d’Aval and Porte d’Amont can actually be seen from the village itself. It’s an easy hike to go out along the cliffs of Etretat, made even easier by the level of sophistication that the accompanying resorts bring. Manneporte is accessible by boat as well, though the waters around the cliffs can be choppy and dangerous at times. It is, however, one of the most impressive natural arches that you’ll ever get a chance to see! The North Window is an incredibly massive arch that is situated on a looping trail in Arches National Park which includes several other arches in the region. From the parking area, the trailhead is easily accessible and you can go right on up to this arch without restriction. A popular activity is for visitors to take pictures of themselves inside this arch because the panoramas are absolutely spectacular! The trail is an easy trail to navigate, suitable for virtually any age. There are bathroom facilities at the trailhead for your convenience. Make sure to also take time to head down the ½ mile trail that leads to the Double Arch, which was featured in the movie Indiana Jones and the Last Crusade. Plan for about 2 to 3 hours for your visit to the North Window area and a hot day, you’ll want to visit this arch first because you’ll want cooler weather for the Delicate Arch hike. 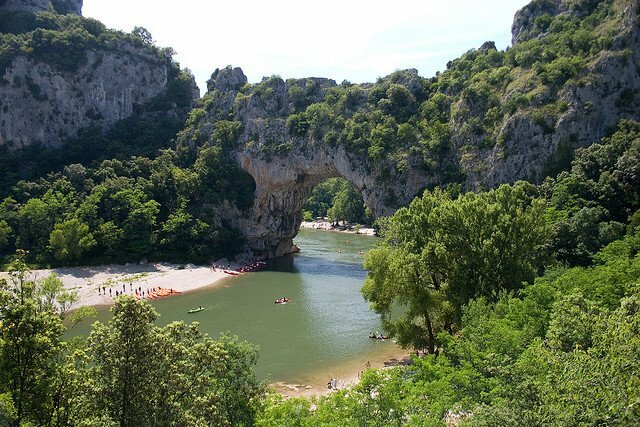 Another incredible land bridge, the Pont d’Arc is located in a very popular kayaking and canoeing area. Often described as the entrance to the Ardeche Canyon, it is near the earliest known cave drawings that have ever been discovered. At 60 meters wide and nearly the same in length, it is a dominating feature in the South of France… so much so that it is listed as a Great Site of France. The beach is the perfect launching point to paddle underneath the arch itself and explore the canyon at leisure. With a beautiful blue sky and warm sunshine accompanying your kayaking or canoeing adventure, your time in the Vallon-Pont d’Arc may just become one of those perfect moments that make time seem to stand still. a visitor’s station allows for educational opportunities about the Natural Bridges region. The natural arch itself is often surrounded by Monarch butterflies. So many butterflies call this region their home that it has been listed as a Monarch Preserve! 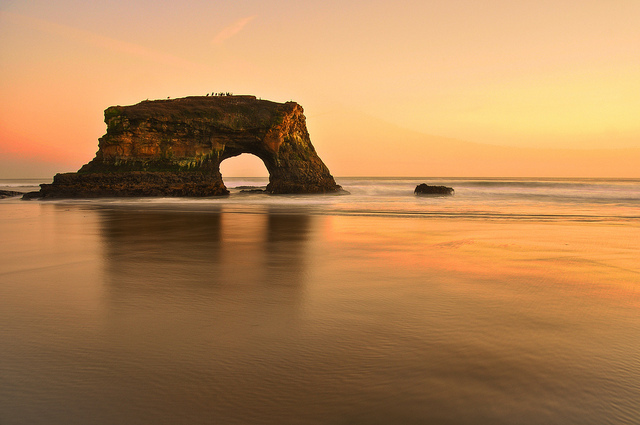 The arch itself is a monolith, jutting out from the ocean, and is a spectacular sight from the beach. A trip here is the perfect day trip for everyone! 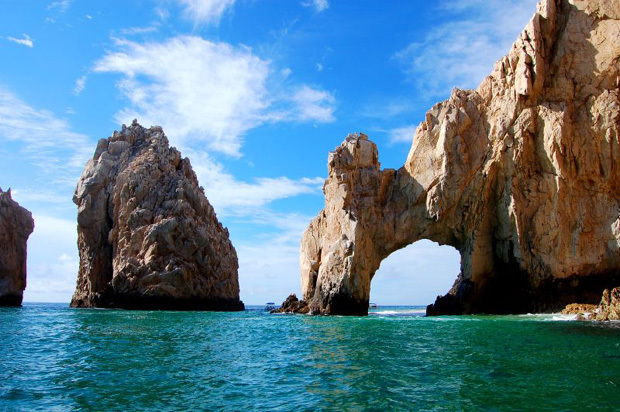 If visiting a tropical location to see a natural arch seems like the perfect excuse to take a trip, then you’ll want to go visit the white-washed beaches of El Arco de Cabo in San Lucas, Mexico. Not only do you get to see the incredible rock formations that have helped to form the natural arch, but there are plenty of scuba diving and snorkeling opportunities in the area as well. Commercial sunset cruises are readily available, though boat or pontoon rentals are also available so that you can experience the majesty of this unique vista on your own. At low tide, it is a wonderful time to step off the boat at Lover’s Beach and enjoy the area… until the tide starts coming back in, that is! If you are taking a vacation in Mexico, this area should definitely be up high on your list of things to do. Located in Quebec, Perce Rock is one of the world’s largest natural arches that is in water. 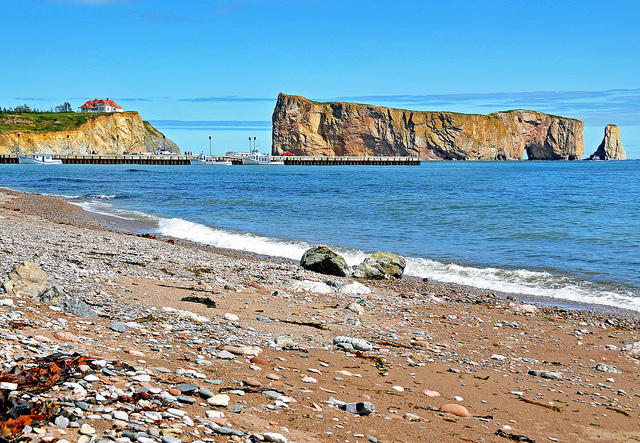 Many describe seeing Perce Rock as a ship getting ready to set sail. Made from limestone, it also acts as a nature preserve for many of the local birds that call the Perce area home. Estimated to weigh nearly 5 million tons, it juts majestically out into the Gulf of St. Lawrence. One of the great activities that accompany a trip out to see this amazing natural formation is to tour the many lighthouses that dot the shores of the region. Climb up to the top of each one, get pictures of the amazing countryside, and see if you can see any rogue climbers trying to claim Perce Rock for their homeland like a group of Russians did in the 1970’s. During low tide, it is even possible to get out and explore the area for a few hours if you wish. Just watch out for the garnets! 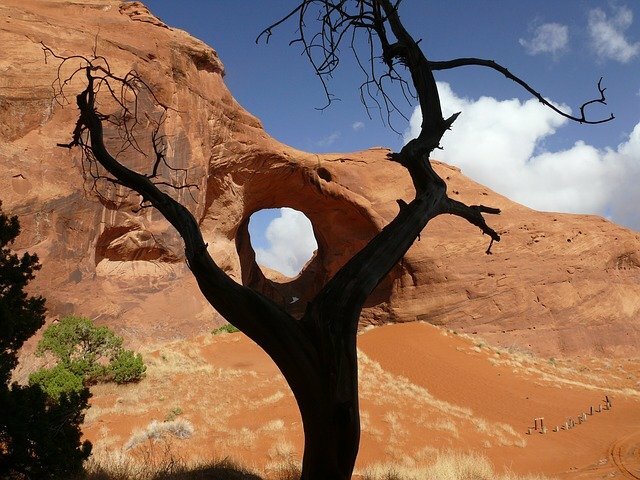 Ear of the Wind Arch is one of the best examples of a pot-hole arch in the United States. It is one of the more difficult arches in this list to go see as well – located in Central Monument Valley, it is south of the self-guided tours. Many people choose to hire a guide to get a glimpse of this closed-in arch that is surrounded by warm sands and brilliant sunshine. Going in the off-season is probably one of the best times to see this arch. Temperatures during the summer season can routinely top 100 degrees and going above 110 is not uncommon. Desert wildlife should also be taken into account as snakes can often be seen sunning themselves on your trek to see this arch. If you’re looking for the best arch that is off the beaten path, this is a leading candidate for that kind of adventure! 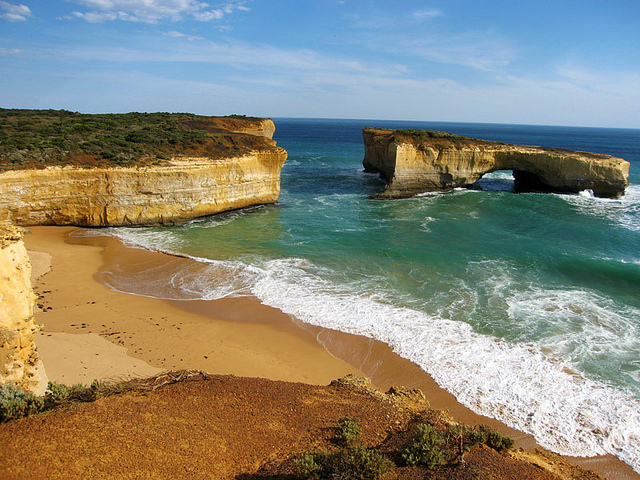 Located in Port Campbell National Park, the London Arch is like a miniature example of what Perce Rock is for Canada. Until 1990, the London Arch would have been much higher up on a list like this because it was a rare double arch natural bridge. It unexpectedly collapsed, however, stranding two visitors out on the outer part of the bridge, though no one was hurt. There are several arch view paths that are easy to hike within the park, though the primary path does have a bit of a drop at the end of it. There are also several other worthwhile vistas to enjoy while seeing the London Arch. Make sure to take a scenic drive along the Great Ocean Road during your visit for one of the best drives you’ve ever had! Rounding out this list is this wonderful land bridge located in Malta. Originally formed thousands of years ago when two limestone caves collapsed, the Azure Window is a favorite location of filmmakers, having been featured in dozens of movies and shows. The table-like design of this natural arch makes it unique in its structure, while the geography of the area itself is literally breathtaking. The area is perfectly suitable for scuba diving, swimming, and boating. The arch itself is a popular place to practice cliff diving, though it is considered to be illegal. Because of the nature of the limestone and its exposure to the elements, many experts believe that this arch will no longer be an arch within a few years. A partial collapse of the arch in 2012 is pointed to as evidence of this. What arches would you like to see first? What arches have you already seen? There may be nothing more majestic to see than a natural arch, especially up close. Take the time to visit the best 15 natural arches in the world and see for yourself how incredible they really are! Unfortunately the Azure Window has collapsed on March 8th 2017 after a powerful storm. It is totally gone, not just the top part. Still can’t believe it myself. its been a great loss. I do not see why Vallon Pont d’Arc is rated so low. I personally know it to be more impressive than several placed higher in this ranking.